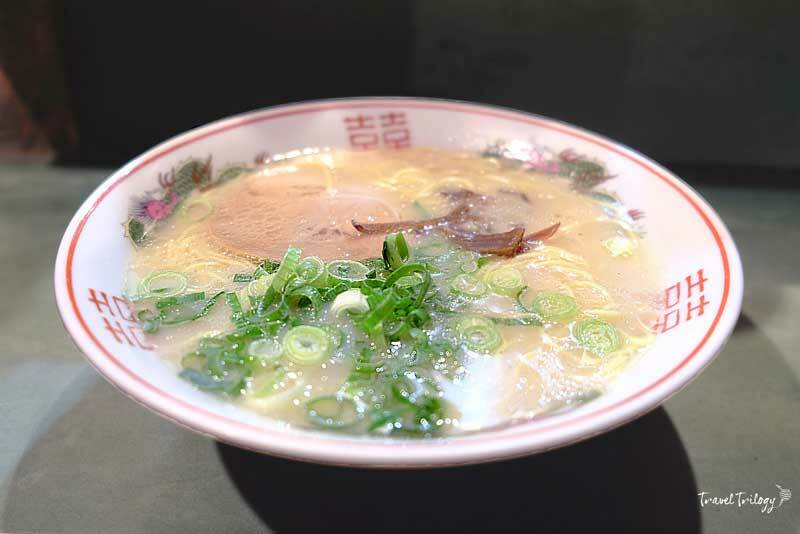 The pleasure of slurping thick & creamy tonkotsu broth was a delicious thought to noodle over as the train sped through the sparkling urbanscape of Fukuoka. After a few connections & a short walk in a maze of skyscrapers & temples, I found Kashima Honkan, my hostel right in the old Hakata ward. In Japan, finding accommodations at the city center that are beautiful yet cheap is a rare treasure. And it’s certainly double the steal to get a ryokan or a traditional Japanese room that opens to a garden with a pretty pond. Well, I thought Agoda didn’t lie about its room this time & I was truly lucky. But I was happier to find out that right across my hostel was one of the raved spots for Hakata ramen. And surely in no time I was already there, fulfilling my first order of the day. 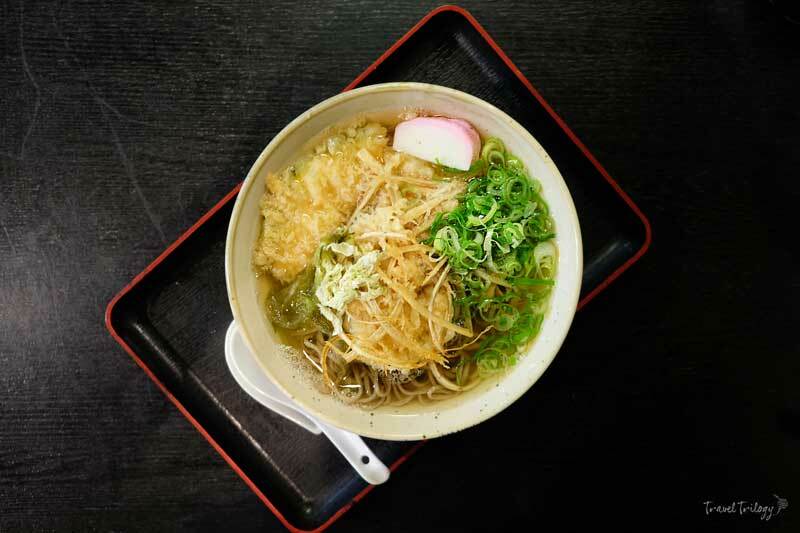 In case you don’t know, Fukuoka is the homeland of Hakata ramen & Hakata is the birthplace of tonkotsu, the holy grail of noodle soup broths. What makes it so legendary is its full-bodied & creamy broth made from boiled pork bones in a wicked jumble of aromatics like leeks, onions & ginger. Ramenatics are also serious about their noodle’s bounciness & texture, reason why the Hakata variation only uses long, thin & straight noodle. Kyushu Island, where Fukuoka Prefecture belongs is a popular pork-eating region. And this explains the explosion of porcine indulgence on my steaming bowl of emulsified fats & proteins topped with tender slices of chashu. With a drizzle of mayu or Kumamoto black garlic oil, my first hour in south Japan was already spinning. I was sweating like a pig when I left the place. I thought of walking around the block to bring down the stuffiness. But even before I could burp I found Kushida Shrine. 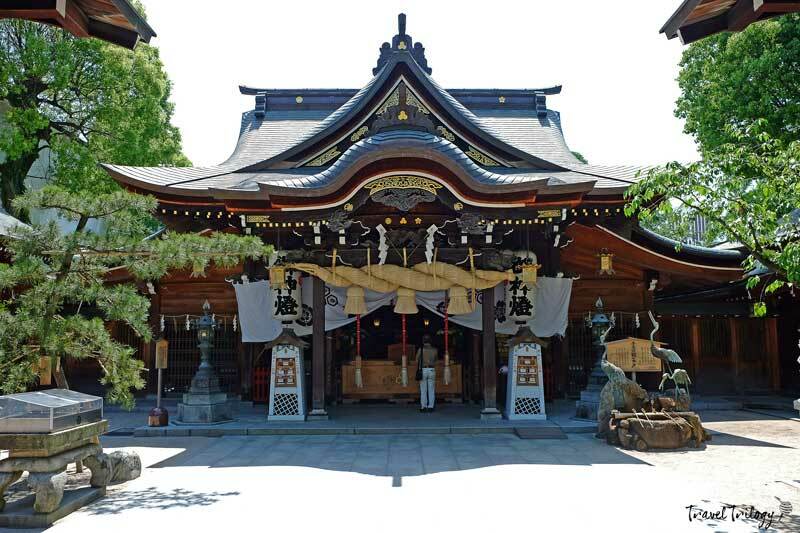 This Shinto shrine founded in 757 is the host shrine of Hakata Gion Yamakasa, an interesting festival that draws crowd every July. Thousands of men clad in loincloths carry 2-ton floats called kazariyama & kakiyama. The shrine is also home to some ancient pieces of Japanese art. Being a culture vulture, I felt really very lucky to be billeted at the heart of the old Hakata because everything I wanted was just a short walk away. Just outside the temple gates is Hakata Machiya Folk Museum. 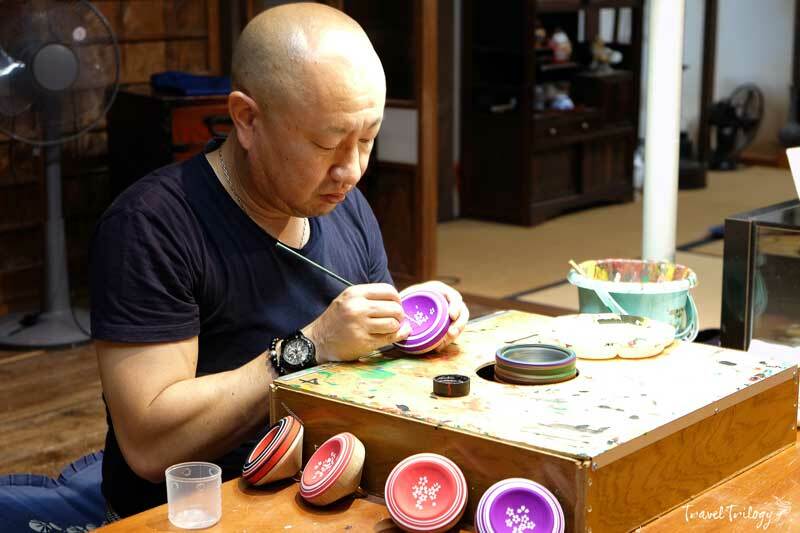 It features arts & crafts from Meiji & Taisho periods like paintings, sculptures & photographs. Interestingly, it’s also a live museum where you get a chance of seeing artisans at work. The universe was probably on my side that day because I personally met Syuraku Chikusi, one of the grandmasters of acrobatic Hakata koma or spin-tops. 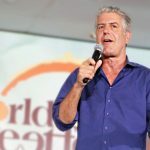 Seeing him work on his exquisite craft was truly a wonderful experience. Just a few blocks away from the museum is Kaikan Shogetsudo, a popular doll workshop dedicated to pretty clay dolls called Hakata ningyo. 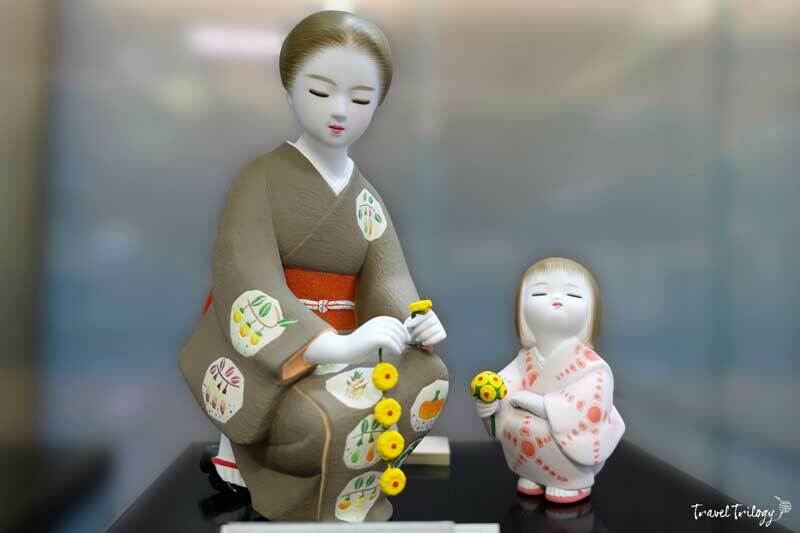 These dolls are so popular for its intricate craftsmanship & are unique to Fukuoka. I tried to paint one doll & the struggle was real! My hand was very shaky & turned the lovely figurine into a monster. 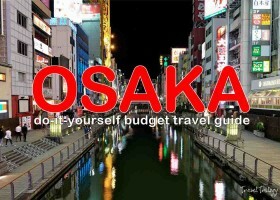 I already had a wonderful day but nothing excited me more than seeing the nightlife of Fukuoka. And by nightlife I mean, experiencing the delicious Yatai cruise that this city is known for. 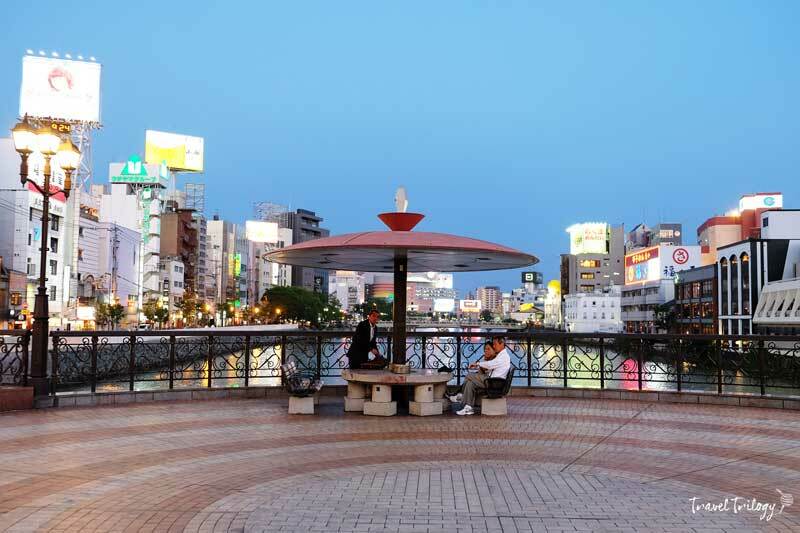 Yatai is al-fresco dining by the river on the southern end of Nakasu Island. 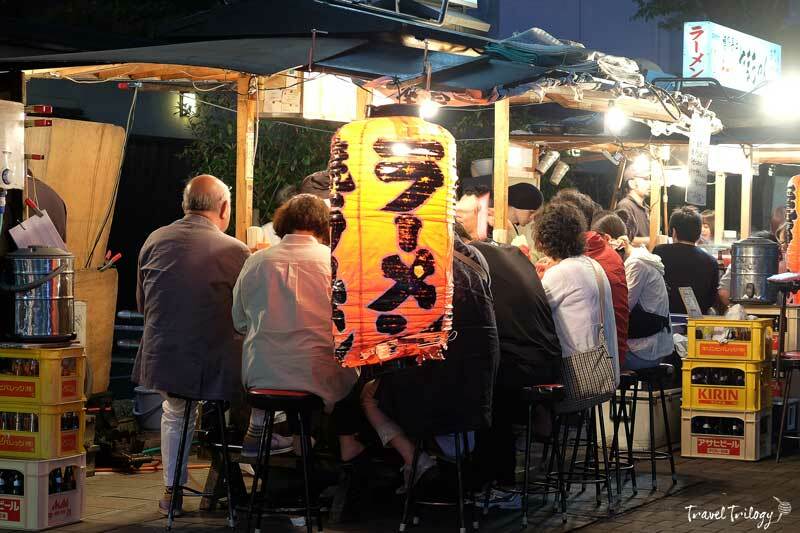 Each food stall sits about 7-8 people over classic Japanese streetfood & ramen. Yatai-hopping was fun. I had grilled chicken skewers (yakitori) & pan-fried dumpling (gyoza). And by the time I got to my final stop for ramen, I was already bloated! I walked my way back to the hostel snaking through the alleys decked with girly bars & small restaurants. Neon lights, men in suit & aggressive graphics are all around Japan especially in big cities like Tokyo & Osaka. Fukuoka is a progressive city too. In fact, it was once their gateway to Asia. They traded with South Korea & China via the old port city of Hakata that brought dramatic changes to the economy of Japan. I spent the rest of the days exploring the city’s smaller temples & checking out its shopping scenes. 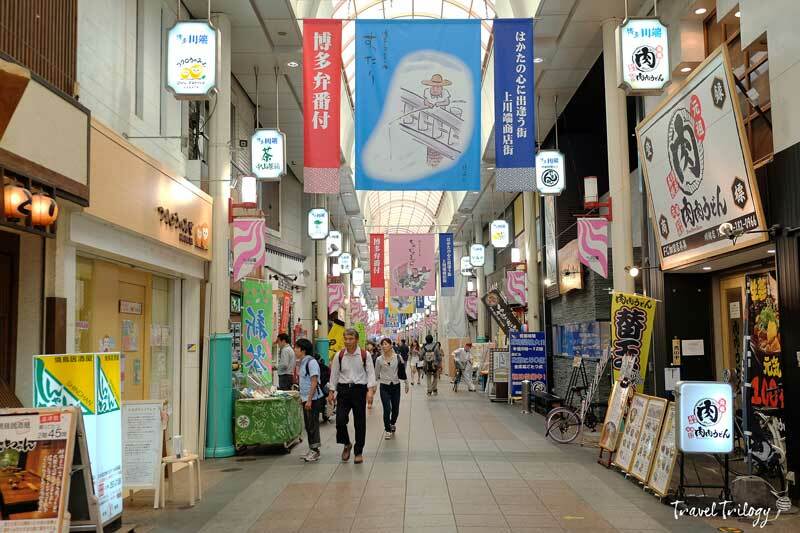 As an international city you’ll expect to find a mishmash of Korean & Chinese stuff especially in Kawabata Shotengai & Canal City. 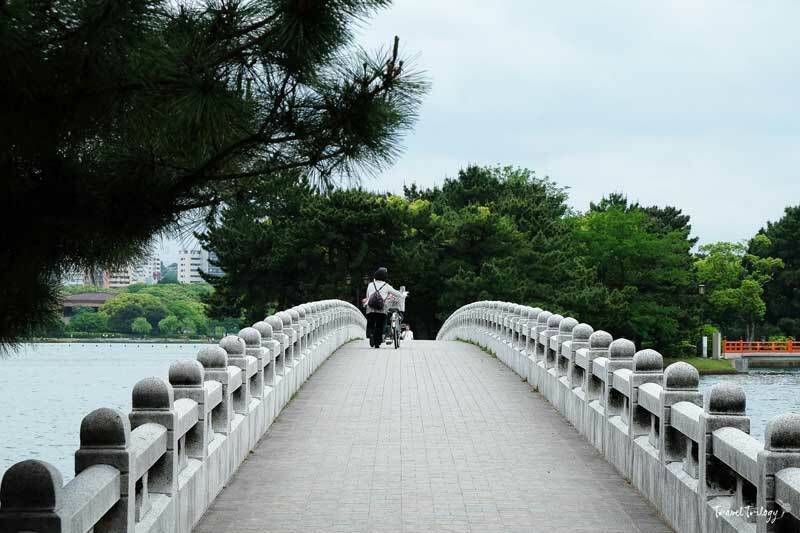 I love slow travels & I believe this is the best way to enjoy a place like Japan. I had a great time just by sitting in Ohori Park, although a flock of geese chased me while I was savoring my sweet mochi balls. Then there’s Uminonakamichi Seaside Park where I picnicked under a cherry blossom tree & rode the ferris wheel. Carefree days are truly wonderful. 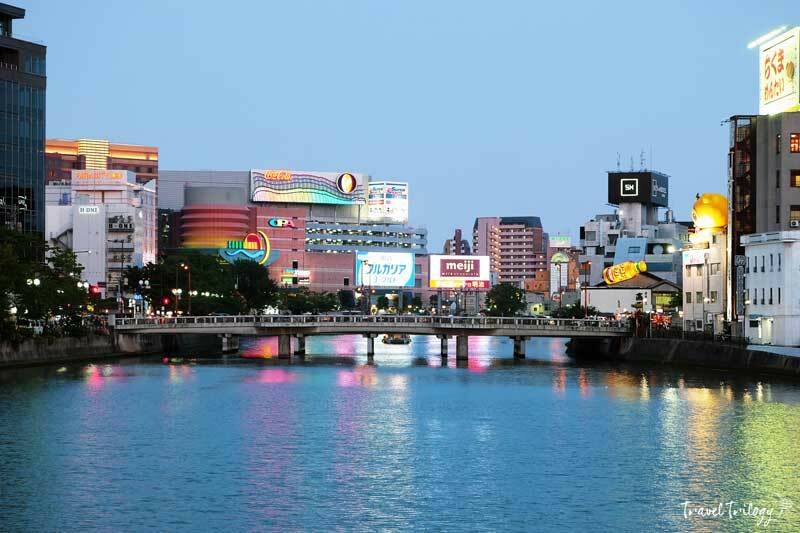 Like a bowl of Hakata ramen, Fukuoka is a lovely fusion of its old traditions & cosmopolitan lifestyle. 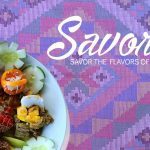 They have filling attractions, savory delights, exquisite art —- and they leave you wanting for more. Picnicking under a cherry blossom tree… now that’s a beautiful life..
Yeah, beautiful life. And ramen is life!